NASSAU, The Bahamas — Developing Social Programmes with policies and laws that provide for its people, appears to be the best strategy to save underprivileged households from the constant risk of hunger. “October 16th is the day on which peoples of the world pause to focus their attention on the problem of world hunger. We have gathered here today in our commitment to seek to increase the awareness of this problem and to fortify our solidarity in the fight against hunger, malnutrition and poverty around the world,” said Rena Glinton, Permanent Secretary, Ministry of Agriculture & Marine Resources. Under the theme “Social Protection & Agriculture: Breaking the cycle of Poverty,” on October 16th at the World Food Day celebration held on Arawak Cay, Mrs. Glinton spoke on behalf of the Minister, the Hon. V. Alfred Gray, because he was away in the Southern Bahamas tending to the needs of Hurricane Joaquin survivors living in the five islands he represents there. Mrs. Glinton said the Ministry is now focusing on the crucial role social protection can play in eradicating hunger and poverty, when incorporated in Government’s development plans. “I am happy to declare that The Bahamas is also doing its part in this fight and has a number of social protection programs available to Bahamians. The Ministry of Social Services recently launched its conditional cash transfer program. This program provides families with debit cards to purchase necessities such as food, school uniforms, pay utilities, et cetera,” said Mrs. Glinton. Mrs. Glinton also said the Department of Agriculture & Marine Resources plays significant roles in eliminating hunger and poverty, and is committed to a number of programmes available to assist Bahamians to feed ourselves, to produce good quality, affordable food all in an attempt to reduce hunger and poverty and assist the vulnerable of society. 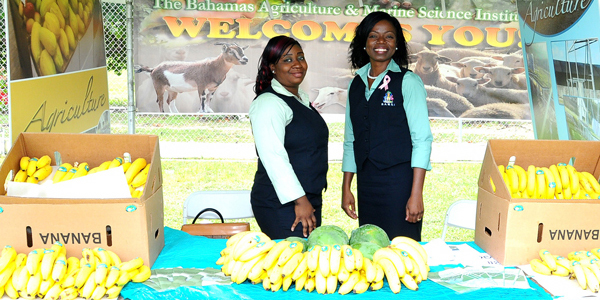 “Since taking office in 2012, this administration headed by Prime Minister Christie has given focused attention to agriculture with the creation of the Bahamas Agricultural and Marine Science Institute – BAMSI. This multi-faceted institution has a teaching/research component as well as operates a tutorial commercial farm. At this moment, students are being taught best practices and other aspects of agriculture and marine science. Additionally, a growing number of farmers are contracted to grow good quality produce that is available now in our local food stores,” said Mrs. Glinton. 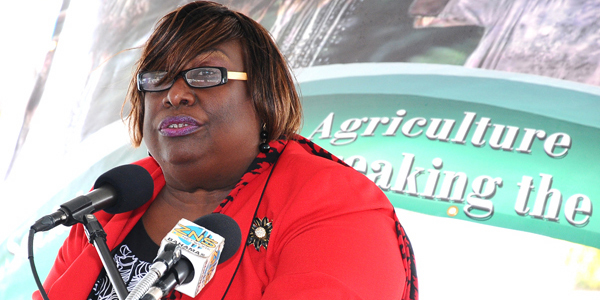 Mrs. Glinton said registered farmers and food processors are able to take advantage of the duty free concessions programme. If approved inputs, machinery and trucks can all be imported into the country duty free, then assistance is also given to farmers that are in need of help to clear and/or prepare their farmland. “The Ministry is about to re-launch the Agriculture Credit Guarantee Fund, which will give small entrepreneurs a jumpstart. If you are interested in starting a business in the field of agriculture or the fisheries sector, this program will be for you. Loans ranging from the minimum of $1,000, up to a maximum of $10,000 with interest rates ranging from 2 percent to 5 percent will be available for you to take advantage of,” said Mrs. Glinton. Mrs. Glinton said that the world has more than enough resources to feed every hungry person, however the political will is needed to deal with this dire situation. She said that to this end, world leaders had agreed to cut the number of starving people globally in half by this year, 2015. “This was seen as such an important issue that it was listed as the first priority of the Millennium Development Goals. For the developing region as a whole, there was some success as the amount of undernourished people in the total population decreased from 23.3 percent in 1990-92 to 12.9 percent, however although the monitoring period is over, we need to remain committed to continue the fight to reduce the numbers in our jurisdictions,” said Mrs. Glinton. Mrs. Glinton said there are many admirable organizations out there such as Hands for Hunger, the Salvation Army, and the Great Commissions Ministry that are doing their part. She added that we all need to get involved and take advantage of what’s available to us and do what we can to eliminate hunger wherever we find it. BAIC representatives at the event. Previous articleMan charged with the murder of Theophilus Thompson will face the PEOPLE TODAY [Monday]!